Scotland has the best skiing on offer in the UK – that’s a fact! 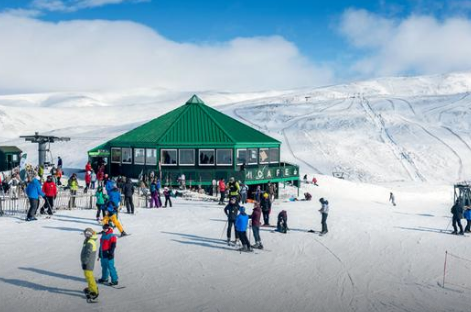 Our ski resorts are easily accessible from all of Scotland’s cities. Whether you prefer dry slopes or the real thing, Scotland has it all. Where’s your favourite place to ski in Scotland? Any recommendations, photos of you taking to the slopes, and any other ski stories – share them here! Hi - I just joined this site and am very excited! My husband and I are traveling to Scotland for 2 weeks in March 2017. We are staying at Inverlochy Castle near Fort William for a few nights and would like to go skiing for a day or 2. What do you recommend? We will need to rent, etc. Thanks! The two nearest ski resorts to Fort William are the Nevis Range and Glencoe. (There's another 3 further away: Glenshee, Cairngorms and the Lecht). To find out about ski conditions and what runs are open please go to our skiing and snowboarding page. You will be able to rent equipment on the spot in all the resorts. Will you have your own car to get there? If not, you can find out about public transport on Traveline Scotland. Have fun! !